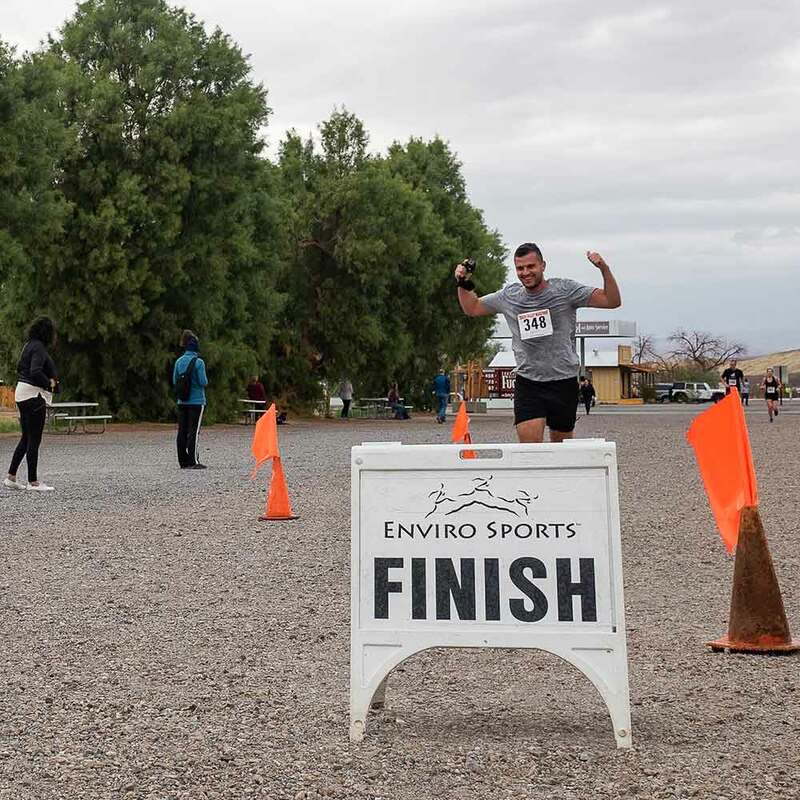 Shaun Busuttil takes on a half marathon in an inhospitable American desert. But will red tape, wild weather and physical pain hold him back from the finish line? I’m firing on all cylinders and my legs are heavy. I’ve just mind-wrestled a stitch into reluctant submission and now there are just two more miles between my burning calves and the finish line. Turning the screws a little tighter, I’m also battling a fierce headwind. My forehead is a shiny, dripping mess, too, which isn’t unusual at this stage of a half marathon. But that’s not just sweat beading down my face. It’s been raining on and off all morning – in itself nothing strange. Except for when you’re running in the driest part of the USA, through a valley that, apparently, receives less than 50mm of rainfall a year. 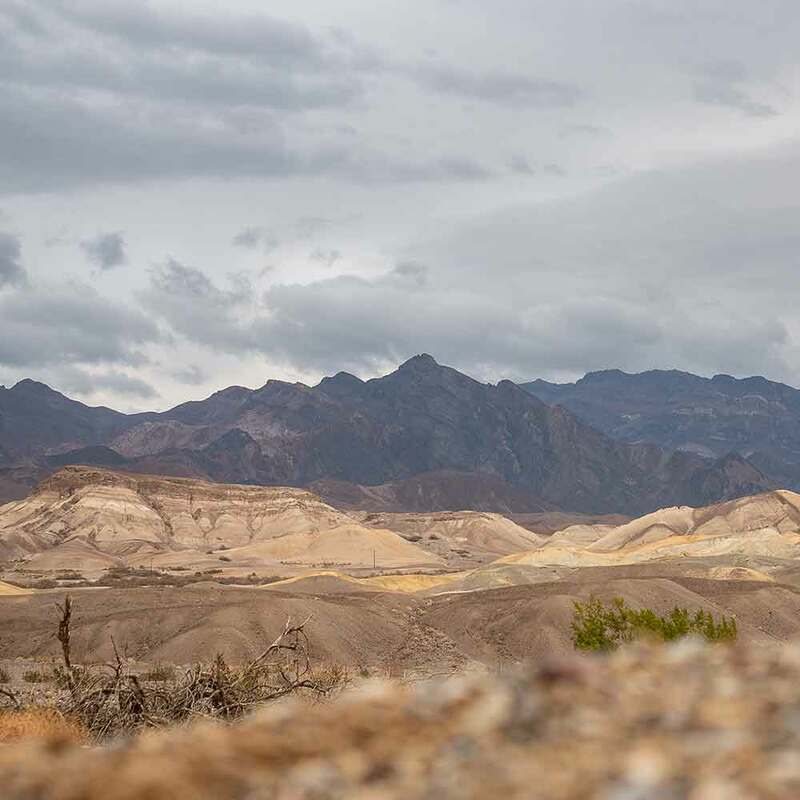 I’m running my first-ever half marathon inside the Death Valley National Park – normally an arid, sun-baked region in the northern Mojave Desert in eastern California, surrounded by the monumental mountain ranges of the Panamints, the Funerals, the Cottonwoods, the Blacks and the Grapevines. 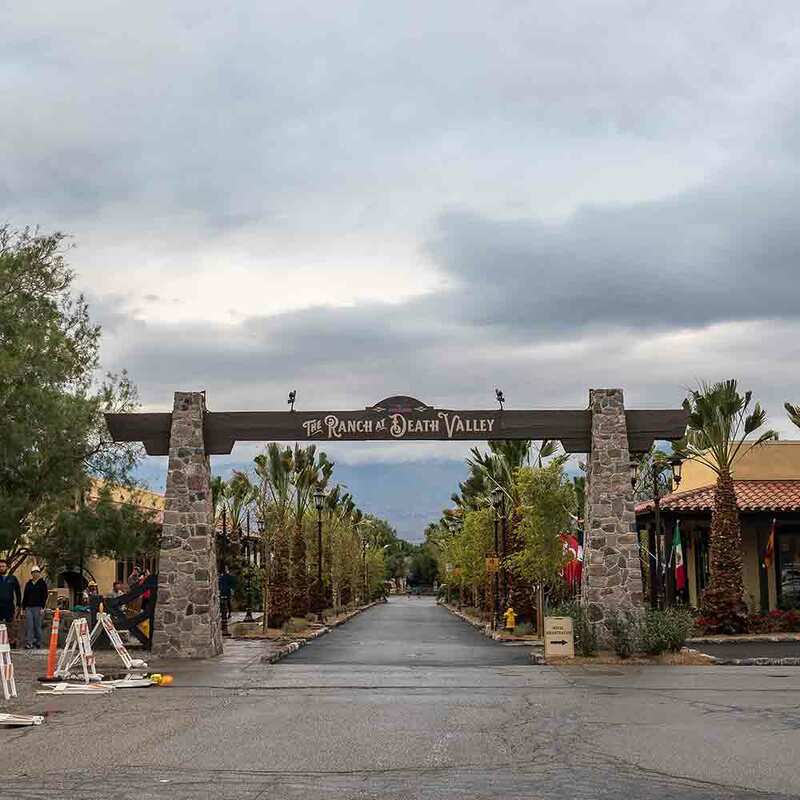 The 13.1 mile route started at The Ranch – which acts as the race HQ and looks more like the set of a Western movie than a hotel – and is relatively flat, except for a few undulating sections in the first (and last) three miles. It’s an out-and-back course, almost entirely on paved surfaces, requiring us to run northwards along Highway 190 (the only artery into the park), before turning around and running back the same way we came, making sure we stick to the west shoulder of the road lest we become roadkill from the passing cars. As a virgin half marathoner, my mission is simple: finish in under two hours and cement my name into the annals of Death Valley. This was a race that almost didn’t happen. 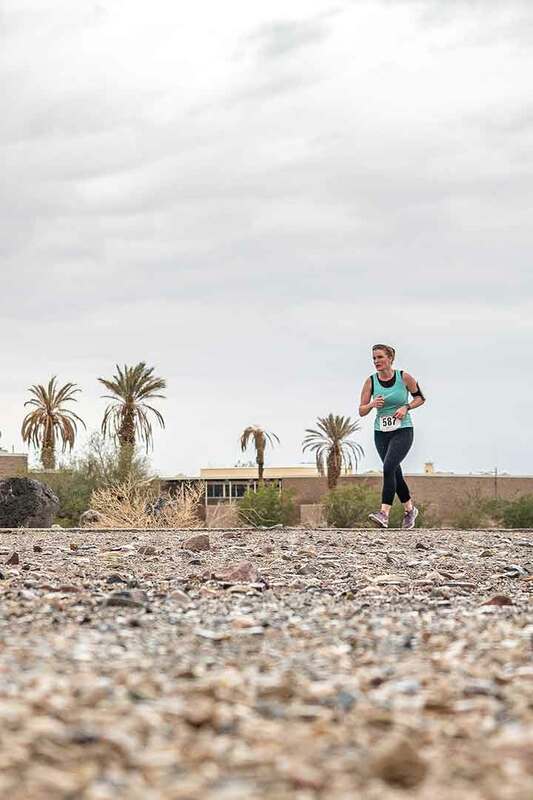 The recent US government shutdown and the ensuing chaos thrown up in its wake threatened to deny the organisers the permits they needed to put on the 22nd rendition of the Death Valley Half Marathon. But it didn’t make any difference to me. There was no way politics was ever going to get between me and my half marathon milestone. Even if the race was cancelled, I was committed to driving the six hours from San Diego through a landscape that gradually transforms into the Wild West, past real-life ghost towns, to the starting line – completely unsupported but undefeated. Although I quite liked the idea of going it alone, three days before the permit deadline, the political madness ended, putting the race back on and heralding good news for the 350 runners competing across the event’s three distances: 10k, 21k and 42k. I’ve always been drawn to extremes. I’d heard about the Death Valley Half Marathon three months ago and instantly knew it was for me. Here was an endurance event with one of the coolest names ever, in one of the most extreme and remote places on the planet. So naturally I had to lose my 21k V-card there! 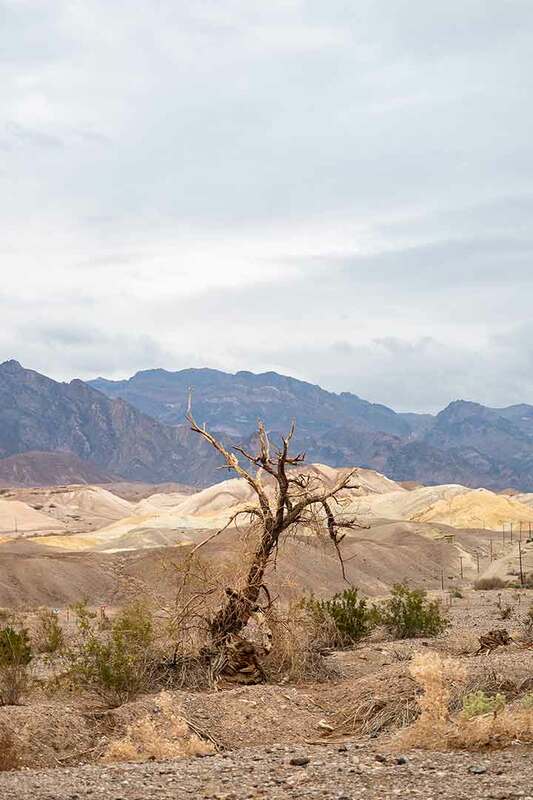 As well as being the driest part of the country, Death Valley is the lowest point in North America ( 86 metres below sea level), as well as the hottest: come July, temperatures here surpass the sizzling deserts of the Middle East. 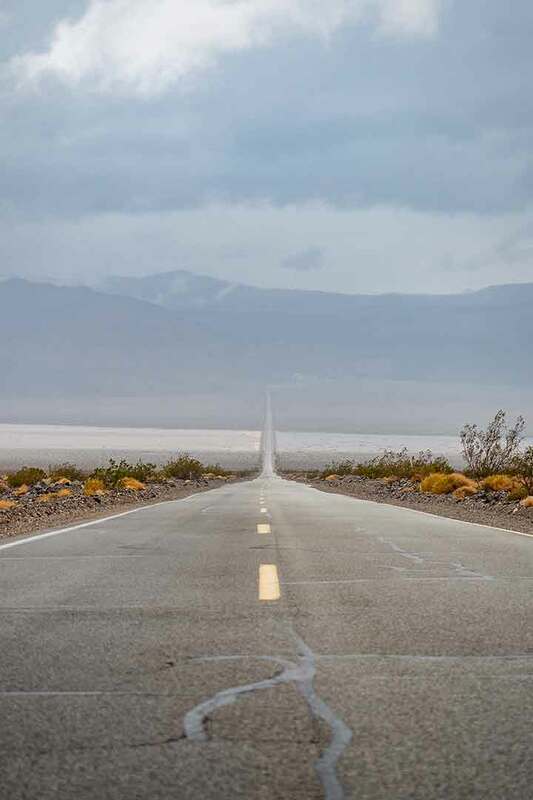 In fact, Death Valley holds the world record for the hottest recorded air and surface temperatures on the planet: a face-melting 56.7 and 93.6 degrees Celsius, respectively. As much as I love a challenge, I’m not insane, and neither are the organisers of this race: we’d all be running in early February, in winter, when daytime temperatures averaged a more comfortable 18 degrees Celsius – about the temperature it is today. Most of the runners competing across today’s sold-out event are from the USA, with the odd pair of foreign feet thrown into the mix: Canada, Switzerland, Poland, Spain, India, Italy, Denmark, the UK and Germany are all represented. The age range is also impressive, from 16 year old Hazim from California to 75 year old Sandra from New Mexico. There are a bunch of Australians here too: six of my compatriots are running the full marathon, and two are running the 10k. I’d met a couple of them this morning when I received my bib (#348 ) after rolling out of bed at The Ranch and walking 100 metres to the race check-in at reception. But I’m the only Aussie running the half marathon, and I’m determined to do my country proud. When the race director led us through a chorus of ‘America the Beautiful’ at the starting line minutes before the race began at 8:15am this morning, I was singing ‘Advance Australia Fair’ inside my head, in an act of quiet patriotic defiance. In all honesty, smashing my first-ever half marathon in the USA wasn’t my first choice. I’d originally planned on ticking it off in Verona back in November, where the city’s beautiful architecture and labyrinthine streets and alleys would act as a distraction to keep me going when my mind wanted to stop. But I was unwilling to endure a drawn-out series of examinations and tests administered by a sports medicine specialist. The ensuing paperwork and cutting of red tape required to run a competitive race in Italy was just too much to bear. So I ran the Verona 10k instead, which demanded no medical certificate nor bureaucratic backflips. I ran the race in 46 minutes, 16 seconds, a PB and fairly respectable time, but picked up a case of plantar fasciitis along the way, a souvenir I carried around for the next two months. Thankfully, it hasn’t been causing me any problems today – so far. Turning back the clock, and I’ve been running for just under an hour by the time I reach the halfway turn-around point. Although there are portaloos here, and I really need to go, I decide to forgo the toilet break and keep running – even with the extra water weight, which I’m sure is the only thing holding me back from breaking a world record. I’ll run the same way I came now, back to where I started through an unsympathetic desert under grumpy clouds that occasionally unleash brief but much-welcomed downpours. 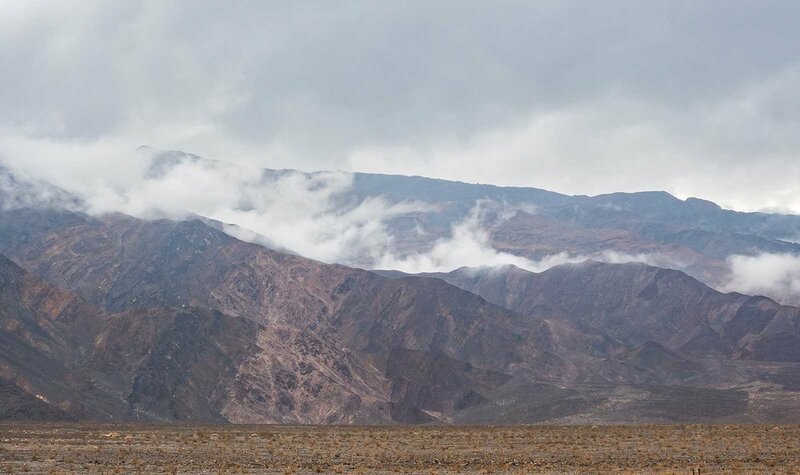 Despite its morbid name, Death Valley is actually home to a variety of flora and fauna, including 51 mammal species, hundreds of types of birds, and five endemic species of fish. I’m sure they’re all grateful for the rain as they continue eking out an existence in this vast desert wilderness prone to occasional flash floods – a real concern over the next few days. The region is also the ancestral homeland of the Timbisha Shoshone Tribe, who have been living here for over a millennium in spite of these harsh, unforgiving conditions. I’m making good time and on track to finish in under a couple of hours as I pass the eight-mile marker. But with no smartwatch, GPS app or headphones to keep track of my progress – the latter are banned as it’s not a closed course – there’s no yardstick to measure my pace, and I swear I can feel it slowing, just slightly, on the short hilly sections that roll between here and the next aid station. But I expected this. To me, the appeal of a solo challenge like running a half marathon is overcoming that negative voice in my head telling me to stop or bidding me to slow down when I actually have tonnes left in the tank. Pain and self-doubt always rear their ugly heads sooner or later, and it’s up to me to employ whatever distractions or diversions I can muster to push past them and keep going. But there are no distractions out here in the desert, and you alone must face your battles on these long and lonely roads. Fast forward 15 minutes and I’m steaming through the greenish-yellow walls of Mustard Canyon, along a serpentine gravel track that opens out into another wide vista of dusty, muted browns. This mile-long section of the course brings back memories of the Urban-Ultra Kalba Kickr, a 14k technical trail run (my first ever) that I completed in the UAE back in Mid-December, which served as a stepping stone to this much bigger challenge. Up ahead, I spy the nine-mile marker just as I pass the dilapidated remains of an old borax processing plant. This rusted relic was the source of wealth and employment in the region until its closure 130 years ago. Borax still remains an important component used in many household detergents and cosmetics, and is a naturally occurring substance formed via the repeated evaporation of seasonal lakes – easily done in Death Valley. There’s still tonnes of the stuff here, literally coating the trail I’m running on like icing sugar. These crumbling buildings are the only sign of civilisation out here in a national reserve that stretches an impressive 3.4 million acres. That’s more than enough square footage to meet the vanishing point on the horizon and beyond. It’s also more than enough space to help you feel like you’ve escaped from the world. Running across the desert is the ultimate freedom, a chance to disconnect and reconnect. And all you need is a pair of running shoes. The last mile along Highway 190 is arduous and long, and I need to dig deep into my reserves to keep my pace. The palm trees outside The Ranch – the finish line – look depressingly distant, and the headwind is slowing me down. It’s just after 10am and I only have another 10 minutes or so up my sleeve if I want to finish the race in under two hours. So I push, and push some more, counting to 100 and starting again, knowing that the biggest obstacle in my way isn’t the distance but my own mind. Once I see the oasis of the finish line, it’s all over. I’m suddenly overcome with the desire to overtake the two runners in front of me and I do, crossing the finish line at 10:10am with a time of 1 hour, 55 minutes – five minutes faster than my goal. I catch my breath as I receive my medal to the applause of the crowd, before finding my entourage and hitting a very-American all-you-can-eat buffet, which, unsurprisingly, is where I find some of my fellow competitors.